T2Logic - a company specialized in electronics and automation solutions design and construction. One of the most important branches of these is the design of pipe organ action drivers. The company offers the most advanced system in the country, which merges numerous consoles and instruments into one ensemble with the use of wired or wireless connections. Many of its features are unique and introduce unprecedented ease for concert and liturgical organists. from early childhood showed an interest in technical issues, especially the electrics, in which he supported by the family, especially his grandfather, from whom he drew the knowledge and skills to handle carpenter equipment, and all kinds of locksmith tools. Later these skills Tomasz honed under the guidance of professional locksmith and carpenter. At the same time he deepened the knowledge of electrical engineering. During the school participated in a parish choir, so he had the opportunity to observe both the construction and operation of pipe organs, as well as technical elements of the play. This interest made him begin practice on the instrument and explore the knowledge of its construction. With time, Tomasz undertook to repair effete church organs. He studied electrical engineering at the Technical University of Warsaw - he moved to Warsaw for studies, where his musical passion began to transform into the job of auxiliary organist at St. Wojciech Parish (St. Albertus' Parish). Also collaborated in organizing the Organ and Chamber Music Festival in Skierniewice, established contacts with national and foreign organists. During the third year of studies he moved back to the home town of Skierniewice and began to work as leading organist at St. Trinity Parish in Cielądz. At the same time undertook the repair work at the organ in his home parish and became interested in solutions in electronic instruments, such as MIDI or software system allowing to imitate pipe organ on the computer. 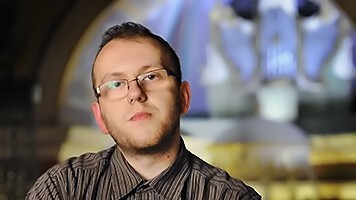 On the occasion of the construction of one of MIDI devices began working with the organist and an electronics engineer Tomasz Mońko. In October 2010, started working together on OrgNG project - a comprehensive computer system for controlling the pipe instruments. 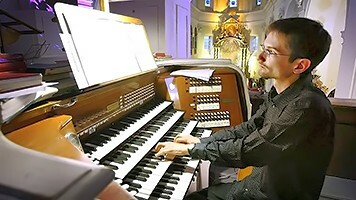 The project was completed in early 2011 and the system was installed in the organs in the parish of St. James the Aposle in Skierniewice, where Tomasz Uliński serves as an auxiliary organist. Currently working on various projects related to the pipe organs. In 2010, he and Tomasz Uliński formed a company named T2Logic, to create innovative solutions for and refinement of existing instruments. One of the first projects from this partnership is OrgNG, which is a comprehensive control system for pipe organs and includes new generation setter memory, as well as a MIDI encoder and decoder, and energy-efficient power driver. Under the name of "T2Logic" company they work together on creating innovative solutions and the refinement of existing organs. In 2016, in one of the churches of Gdynia, they created the first system in Poland which provides wireless connection of two pipe organs and two separate consoles.